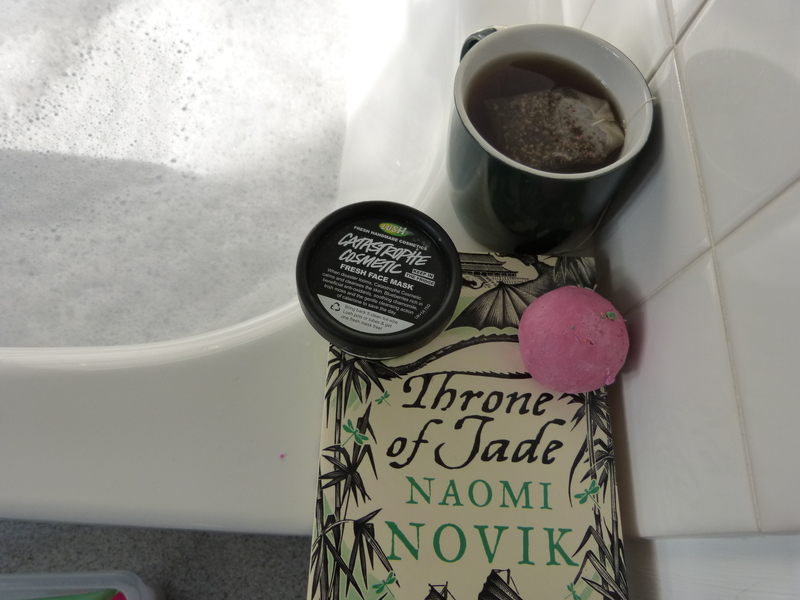 This entry was posted in Beauty and tagged bath, books, bubble bath, lush, lush cosmetics, naomi novik, reading, rose jam, rose tea, tea, temeraire, twinings, twinings tea. Bookmark the permalink. ← Lush Pumkin bubble bar!